Optogait is an innovative system for movement analysis and functional assessment of patients with normal or pathological conditions. The system is equipped with optical sensors working at a frequency of 1000 Hz and having an accuracy of 1 cm, detecting the relevant space and time parameters for gait, running or other test types. 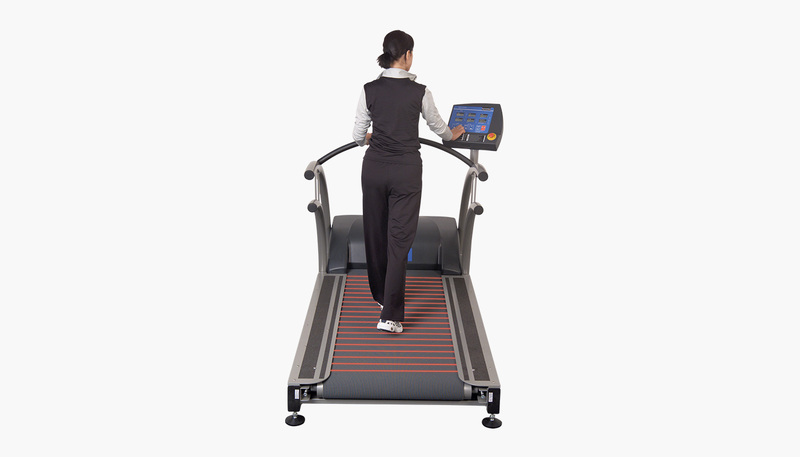 This optical LED motion and gait analysis system will be incorporated under the lateral side platforms of the treadmill. This smooth integration makes the system invisible for the subject and therefore does not constitute any danger or risk for the subject to step on a lateral obstacle that might cause injuries. The further treadmill specifications are not influenced by this option.